David Garin (left) and Cameron Scott. Cameron Scott was appointed EVP and COO of UP in 2014. He was responsible for train operations throughout 23 western states, including management and maintenance of locomotives, railcars, tracks, train dispatching and crew calling. He was previously Vice President Network Planning & Operations (NPO), responsible for directing the railroad’s service design and evaluation, transportation planning, network and capital planning, network development and joint facilities activities. Prior to his appointment to NPO, he was Regional Vice President Western Region. Scott graduated from Arizona State University with a B.A. in Business Management and earned his M.B.A. from the University of Texas. He also completed the Executive Management Program at Stanford University. David Garin was appointed Group Vice President Industrial Products at BNSF in 1999, with sales and marketing responsibilities for a $6 billion carload segment including chemicals, crude oil and petroleum products, building products, construction products, beverages, perishables and canned goods. He began his career in the railroad industry in 1983 in St. Paul, Minn., and relocated to Fort Worth in 1992. Garin has held a variety of leadership positions in audit, corporate accounting, financial reporting, strategic planning, and marketing and sales. Garin holds a B.A. in finance and accounting from Augsburg College and graduated from the Advanced Management Program at Harvard Business School. 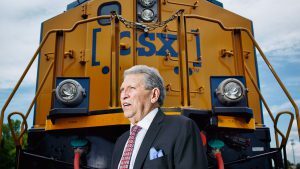 He has served as a National Trustee of the Boys & Girls Club of America, an executive board member and past president of the National Freight Transportation Association and a member of the Board of Directors of the National Association of Manufacturers. 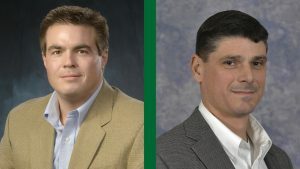 “The newly elected directors add the desired depth and diversity of strategic operational insights from short line sales, financial structuring and collaborative relationships with each Class I railroad’s short line partners. 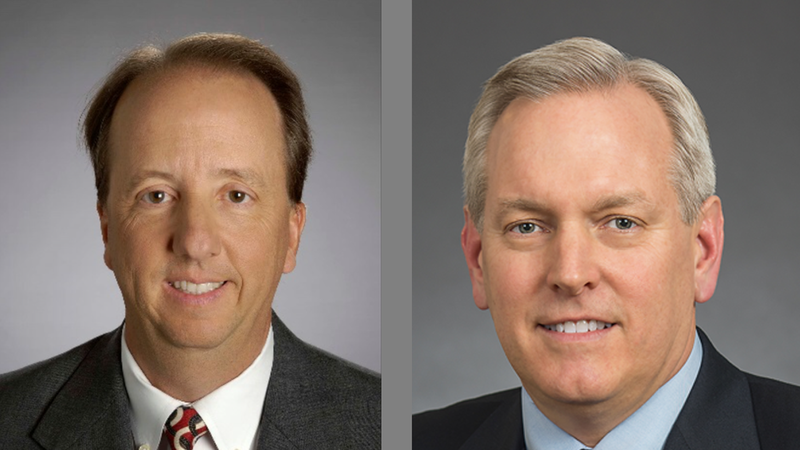 Cam and Dave have an outstanding amount of knowledge and experience between them and we are very fortunate to have them join our board. 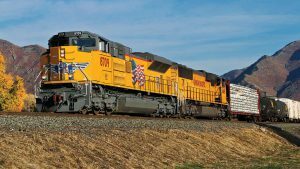 Their expertise will help guide the growth of our logistics solution offerings and service network, and drive the expansion of the OmniTRAX customer base,” said Kevin Shuba, CEO of OmniTRAX.